Looking to prove yourself on the always competitive blackjack tables? Maybe you're trying to hone your roulette skills as you adjust to play with a live dealer? Well Unibet Casino and Live Casino have you covered with the Big Dubai Summer Casino Series, a series of online casino tournaments, free spins giveaways and slots tournaments all starting tomorrow! Unibet will be holding three casino tournaments simultaneously over the next few days, as well as a 12-hour Free Spins Giveaway and a 20,000 slots tournament. The online tournaments, other than the slots event, will feature live-dealer versions of the most popular casino games: roulette, blackjack, baccarat and casino poker. And the slots tournament will cover most of the top titles at Unibet! Considered one of the top gambling operators on the web, Unibet consistently offers exciting, unique and certainly generous promotions all year round across their complete suite of products. But it's the summer promotions Unibet always features, like the Big Dubai Summer Casino Series, that seem to catch the most attention. Live Roulette Tournament = The online casino tournament featuring roulette requires players spend a minimum of 30 rounds playing Live Grande Roulette over the 5 day period. Players must opt-in to the tournament to gain eligibility; playing the game does not automatically qualify players. For every €1,000 wagered, players will get 1 entry to the prize draw for the Dubai trip! Live Blackjack Tournament = Considering Live Blackjack holds the title of top live casino game, players shouldn't be the least bit surprised one of the three tournaments centers around Live Grande Blackjack. This tournament relies on a point system: for each €0.50 played, players will receive a point and the most points at the end of the tournament takes top prize! Live Baccarat & Poker Tournament = The final tournament featured in Unibet's Summer Series revolves around baccarat and live poker variants including Texas Hold’em, 3 Card and Caribbean Stud Poker. Like the blackjack format, players earn points and the top point-getter wins it all but this time players earn those points for hands played, not wagers made. Along with the three casino tournaments, Unibet will be offering two other great opportunities during the Big Dubai Summer Casino Series. Unibet will also be offering an incredibly generous 12-hour Free Spins Giveaway which features hundreds of thousands of free spins available to win. The total number of free spins available to win during the series sits at a whopping 250,000! Along with the Free Spins Giveaway, Unibet is hosting a fourth tournament but this one is centered on their excellent selection of high-quality slot games. The slots tournament, which includes some of their most popular slot titles available at the casino, will feature 20,000 slot games played so plenty of opportunity for players to participate regardless of their experience level. What Can Players Potentially Win? 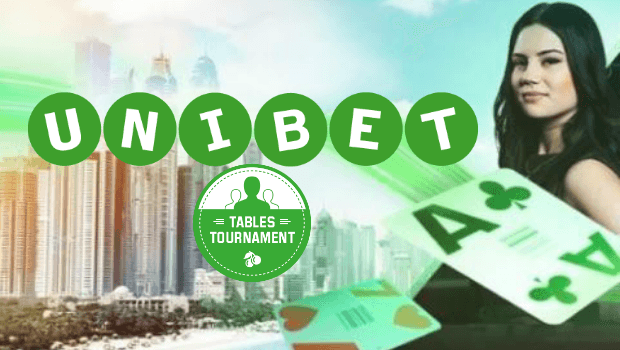 According to Unibet, players participating in the huge event will have a shot at a share of the €50,000 prize pool and 250,000 Free Spins, as well as have a chance to win an epic trip to Dubai! The three tournaments carry prizes of €10,000 while other aspects of the Series account for the opportunities to win the rest of the cash, the hundred of thousands of free spins and the chance to travel to Dubai! For those interested in joining in on the summer fun and participating in Unibet's Big Dubai Summer Casino Series, simply head over to Unibet Casino and Live Casino today to opt-in to the tournaments. Players looking to enjoy the free spins giveaway will have to wait till next week but those looking participate in the slot tournaments can start signing up now!